Combining authentic ingredients from over 20 countries, we create our delicious hand-crafted crisps in small batches. 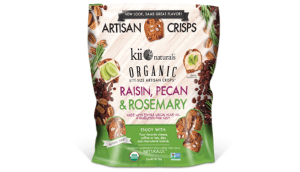 Double-baked for a satisfying crunch, each artisan crisp holds a delightful burst of flavourful fruit, nuts and seeds. 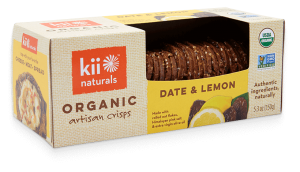 Perfect for any occasion, kii Naturals™ organic artisan crisps are great with toppings and to share with friends! Authentic ingredients, naturally. Pizzelle’s are an authentic Italian waffle cookie created from centuries old recipe founded in the Abruzzo region of Italy. Reko pizzelle cookies are treasured for their crispy, delicate flavour and time-honoured artistry. They are made with cast iron griddles and the best of ingredients. Today we manufacturer over 2 million pizzelle cookies a day. 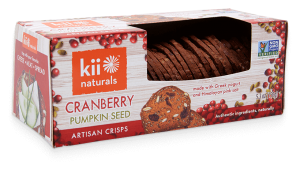 In a consumer universe where natural can mean almost anything, we work hard to make Kii naturals stand purely and scrumptiously apart from all others. Use only fresh, high-quality, unadulterated ingredients from trusted sources. No chemicals, preservatives, colours, additives, or GMOs. 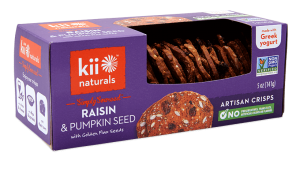 We keep everything delicious, healthy and perfectly crunchy. …to bring together mutually complimentary ingredients that also work well with our customers’ creative imaginations. So our product development combines constant innovation using the most delicious natural ingredients sourced from trusted partners.